Now this Prince Edward Island stuff is really interesting, looking back. I was not really impressed with their road markings back in 1965. 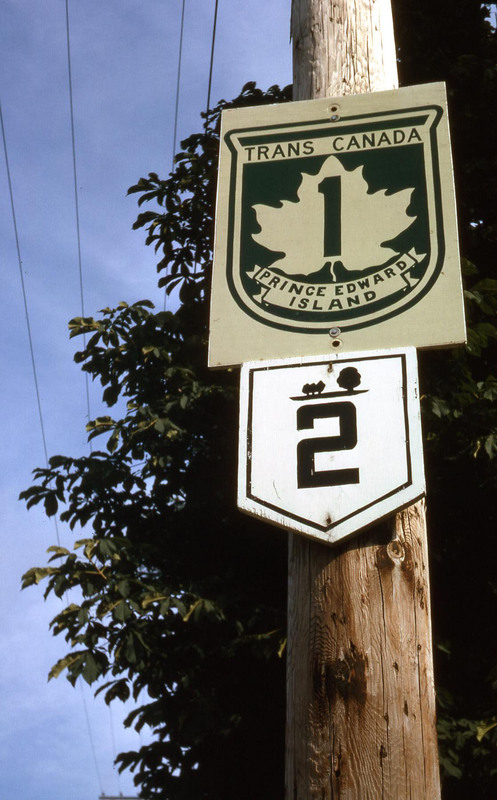 The PEI route markers looked quite flimsy (especially when compared to the Trans-Canada highway sign). They were made of wood and almost looked hand painted. They were also sparsely placed and hard to follow beyond the main routes. The symbol above the numeral �2� is a line of trees, part of the PEI provincial flag.